A Mystery Travel Box…What is it? We’re creating boxes filled with amazing products that bring out the essence of different cities and countries from around the world. Travel is so much more than monuments and simple souvenirs – travel is about experiencing new places and people, and discovering the stories behind them. Our attempt is to bring a little bit of this local life to your doorstep… in a box! 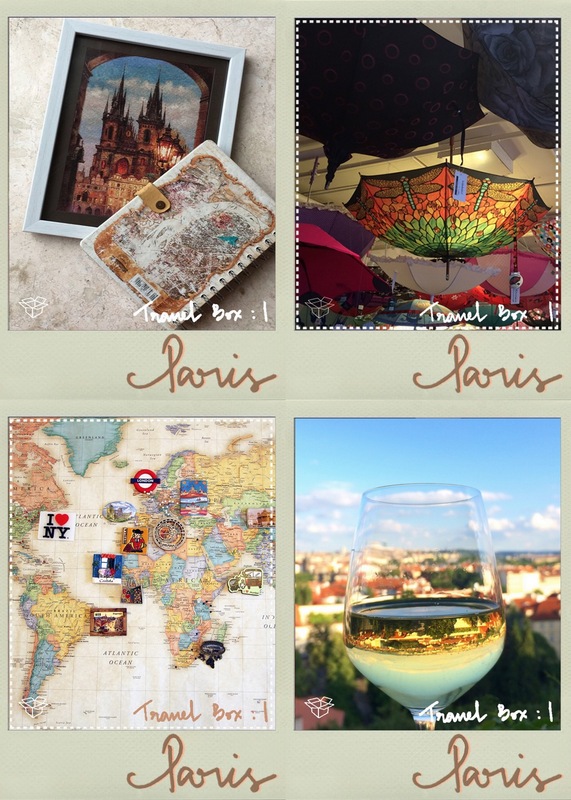 The first edition of our travel box comes from a city that no one seems to get enough of: Paris! We are curating a special box just for you, filled with things that best capture the essence of Paris. If you’ve been to Paris before, this box will take you back to all those fond French memories. And if you haven’t… this box is step 1 in checking this magical city off your bucket list! Mehek is an engineer by education, a healthcare consultant by profession and a traveler at heart. After taking a graffiti workshop in Prague with Europe’s first female graffiti artist in June 2015 (thanks to a recommendation from another blog), she started her own travel blog, Map and Magnets, to share her travel stories with the world. She writes about the hidden gems she discovers and the veggie food she struggles to find, collecting a magnet from each city along the way. Reshmi is an architect by profession, and the artist & founder at Curiosity Kills The Cat. Travel has been one of the biggest sources of inspiration behind the art at CKTC. CKTC houses pop culture and music inspired art and sketchbook. There’s a cat hidden in every piece of art, hence the name!